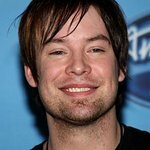 American Idol season 7 winner David Cook used his incredible talent to help raise money while performing Wednesday night at the ‘Do The Wright Thing Gala’ held at Hard Rock Café in NYC. The fourth annual ‘Do The Wright Thing Gala’ was held to benefit Major League Baseball player David Wright's charitable foundation. While Cook performed “Heroes”, “Life on the Moon”, “Light On,” and others, guests were privy to a silent/live auction, a full buffett and a ton of smiles. 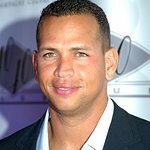 The annual gala is one of the primary fundraisers for the David Wright Foundation and has helped pave the way for Wright to gain a reputation as one of the baseball’s foremost philanthropists, earning him a nomination for baseball’s Roberto Clemente Award.